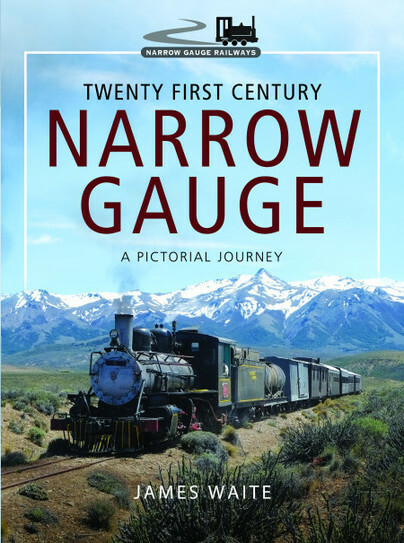 You'll be £28.00 closer to your next £10.00 credit when you purchase Twenty First Century Narrow Gauge. What's this? James Waite has been a skilled railway photographer for many years. In this book he has brought together photographs of many of the world’s steam-worked narrow gauge railways in the twenty-first century, concentrating mostly on views which show the scenery, both natural and man-made, through which they ran. They are accompanied by extended captions; the fruit of extensive research containing much historical information about the railways and their locos. He also offers many fascinating insights into the districts and communities which they serve, along with anecdotes about his adventures while visiting them which are often amusing and always informative. James Waite was brought up in Devon within sight and sound of one of the GWR’s prettiest branch lines and can’t remember a time when he wasn’t an ardent enthusiast. He was introduced to the narrow gauge at school which, conveniently, was within sight of the old Lynton & Barnstaple Railway. Its route was then largely intact even though the track had been lifted twenty-five years earlier. A family holiday in North Wales saw the start of an affection for the little trains which has continued ever since. Many years later, retirement from full-time work has enabled him to discover for himself the many fascinating railways still running in far-away places. He is a regular contributor to 'Narrow Gauge World', the UK’s leading magazine in its field.